2 of the tires on the fronts are like new, the rest of the tires are shot but most are good for at least rolling the car around the shop. 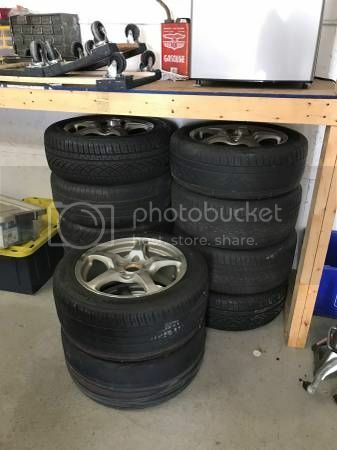 All these are in really good shape with the exception of some curb rash and some scratches on the face of 1 of the rear rims which is straight and good structurally. Would you be willing to separate? I would like just one complete set. Last edited by saving4one; 02-03-2019 at 06:35 PM. Willing to sell just 2rear?